Rural Youth August is here! The Scottish Rural Network (SRN) will be focusing on rural young people this August. To mark Scotland's Year of Young People 2018, SRN will be posting videos, interviews, project profiles and features through our website, newsletter and social media channels over the course of the month, and encouraging others to join in and add their own content using the hashtag #RuralYouthAugust. The campaign kicks off with the announcement of the results of the Rural Youth Project survey. SRN was a partner in this major project to collect the views of young people across Scotland and beyond, and the results will be shared in a new report, set to be launched at the three-day Ideas Festival taking place in Kinross from 1 - 3 August. We'll be reporting from the festival on Twitter, Facebook and Instagram. There are interviews and vox pops to come with young people about what they love, hate and want from politicians when it comes to living in a rural areas, case studies of inspiring youth projects and enterprises, and reports from other events taking place in August such as Amaze Me LEADER. 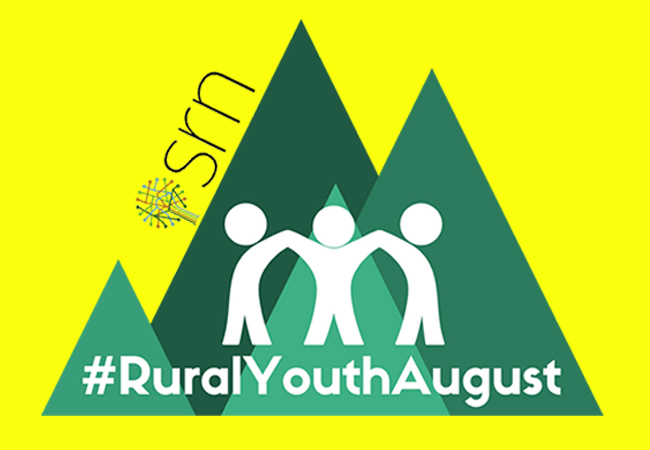 You can preview some of the content in our launch trailer below, so stay tuned to SRN channels this #RuralYouthAugust. RYA Launch Trailer from ScottishRuralNetwork on Vimeo.